Entering the show business in Pakistan has never been an easy task. 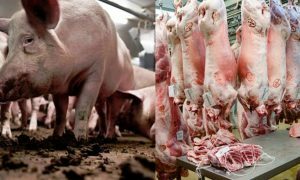 There are numerous challenges faced by a rising talent who has to suffer at the hands of those that dominate and rule the show business world in the country. These factors are amplified for a woman who wants to become a part of this glamorous life. With a male dominated society all around, they are subject to ridicule, harassment and multiple challenges across the field. This is not prevalent in all areas of the showbiz but it should be noted that this has been known to happen. Those who overcome all these challenges are the ones who truly possess a talent and are willing to struggle for it. One such person that has made her way to the top in a short span of time is Urwa Hocane. Urwa Hocane is one of the leading renowned faces of the television industry. Urwa Hocane is the proud sister of Mawra hocane who is also part of the showbiz industry and shares the top ranks with her. Urwa is also known as Vj Urwa as she started her career for the first time as a video jockey from channel The Music. The Music is the part of ARY DIGITAL‘s family. 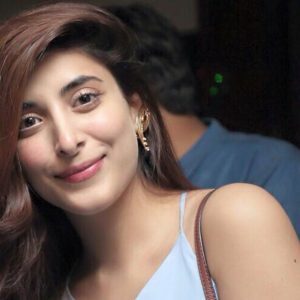 Urwa Hocane’s real name is Urwa-tul-wusqa, famously known as Vj Urwa. She was born in Islamabad on 2nd July 1991 in the capital city of Pakistan. Her father is a patriotic Pakistani who worked in the Pakistan army all along his life up till his retirement. Due to her father’s posting in different cities, she spent her puberty period by living in different cities of Pakistan but most of her childhood memories are related to the metropolitan city of Pakistan. She experienced childhood in Islamabad and amid that time the city was the center point of current Pakistani theatre. From her childhood till now, she has been very hardworking and a committed person toward her profession. Urwa got her primary education in the capital of Pakistan, Islamabad. After that she completed her intermediate (grade 11-12) education from Bahria College in Islamabad. Her father’s name is Mushtaq Hussain and he served the Pakistan Army. 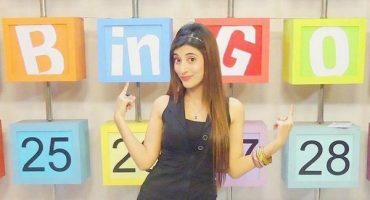 She has a sister named Mawra Hocane who is also a member of the Pakistani media. She also has a younger brother named Ins E Yazadan. Urwa Hocane is working in Pakistani media industry as a model, Vj and actress and now she is on her journey to make her name in Bollywood. This Pakistani fashion model Urwa Hocane started her fashion journey in the form of VJ as the beginning of her career in 2005. As a video jockey for ARY Musik she gained much popularity and well known responses from the people and gained much appreciations as well. Her innocent and good looks combined with her bold and confident personality attracted many fashion designers as well as numerous talent hunters across the country. Prior to her debut in the media, she signed her first contract at the age of 17 on the ID Card of her mother as she was young and didn’t get her own national identification card. After that this charming face girl with butterfly lashes started her acting career and first ever appeared as Zuni in the drama Country Love which aired from Pakistan Television. Urwa Hocane gained much recognition and notorious responses from people. Several popular Pakistani companies contacted her for their advertisements because of her good looks and talent. Her major debut as an actress came in 2012 when she landed a leading role in the romantic drama Meri Ladli alongside Ahsan Khan and Sajjal Ali. The drama serial aired on ARY Digital and was well received by the audience. Urwa’s performance in the drama was widely appreciated which gave her a flying start in the industry. Urwa’s career was on the rise after her major debut. She was later casted by many directors and their decision proved to be fruitful. Her dramas and her performance in hits like Kahi Un Kahi, Madiha Maliha and Marasim, were well received by the audience. Her success came at a time when Pakistani film industry was on the verge of its renaissance. After suffering for years, Pakistani film industry started making a comeback in the world arena. Numerous television artists and models started to sign for numerous movies in production. Following the trend, Urwa Hocane also made her film debut in the movie Na Maloom Afraad which was a romantic comedy and released in 2014. Urwa Hocane made her debut alongside Fahad Mustafa, Mohsin Abbas Haider and Javed Sheikh. The movie was a success and received positive reviews from the audience as well as critics. Samra Muslim of Sunday wrote “Na Maloom Afraad is an out-and-out entertainer, which due to the catchy promos, strong word of mouth and excited audiences, all which will surely have the producers laughing all the way to the bank. Just what the Pakistani film industry needs!” Urwa was nominated for the Best Actress Award at the Lux Style Awards 2015. It is the 11th highest grossing Pakistani film worldwide and 8th highest grossing film in Pakistan. Her success has also made a name for her in India. Just like her sister Mawra, Urwa has been reported to have signed three Bollywood movies as well. Urwa has been blessed with good looks and a knack for doing well in what she commits to. This has been proven not only by her acting skills but her modeling talents as well. She has walked the ramp alongside her sister on numerous occasions, flashing beautiful designs for famous Pakistani designers. She also made her singing debut with her single Lay Kar Chalun which she released in November 2016. The song was released from her husband’s Youtube channel and has received mixed reviews from the audience and critics. 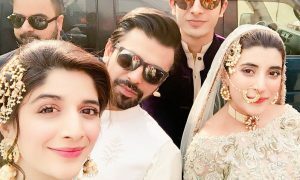 Urwa Hocane is married to well-known Pakistani singer and actor Farhan Saeed. She and Farhan had met at a video shoot for Farhan’s music video. Urwa Hocane has remained very active on the social media, especially Instagram. Their relationship has been religiously followed by her followers through her Instagram where pictures of their travels and projects alike are thoroughly available. They have remained hand-in hand at every public appearance since the beginning of their relationship. 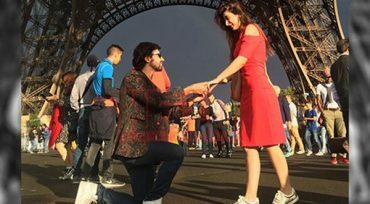 Farhan recently proposed to Urwa in Paris in front of the Eiffel Tower. Urwa wearing a red skirt and Farhan in his signature jacket and sunglasses look shared this picture perfect moment which was captured by their team. 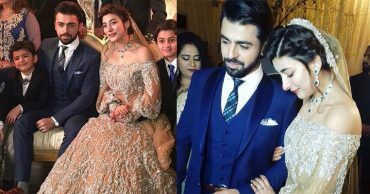 The couple later got married in December 2016 and regular updates were available on social media due to constant uploads from Urwa and Mawra on their respective accounts. 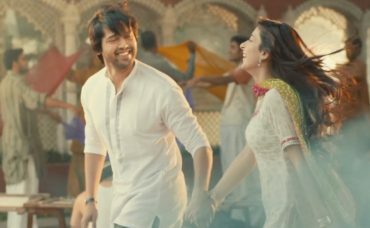 Farhan said he’d soon be coming with his new song ‘Tu Thori Der Hor Ther Ja’ which would be dedicated to Pakistan army soldiers and also revealed that Urwa would be playing his wife in the video. They also appeared together in the famous talk show Tonight with HSY which is hosted by Pakistan’s most famous designer Hassan Shehriyar Yaseen. Her active social media has led her to be on the receiving end of brutal criticism and hatred by some people of the Pakistani community. She has mainly been criticized for her fashion sense and exposing too much skin which is not generally accepted by the Pakistani community given the modesty rules put forth by Islam. 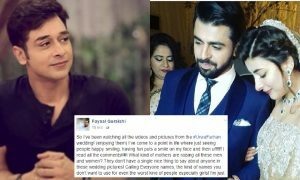 Yet, the biggest controversy she had been a part of came when pictures of her along with her boyfriend at that time, Farhan Saeed, emerged where she was seen partying at an Indian night club. She was not only seen dancing but also drinking which made the people of Pakistan furious and led an outrage of comments on her. The pictures were later tried to be justified by Farhan who stated that it was a wedding party of someone close (reportedly his brother) but the damage was done. Urwa had also declared at one point that she hated that very director and doesn’t look forward to working with him again. Both Urwa and Farhan agreed that people in their field were plastic so socializing with them was not preferred. 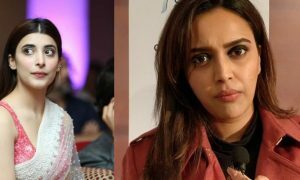 The actor also said she’s short-tempered and is known as the ‘bad girl’ in the industry that ‘bohat se logon ko masail hain’ which is translated to “Many people have problems (with her)”. 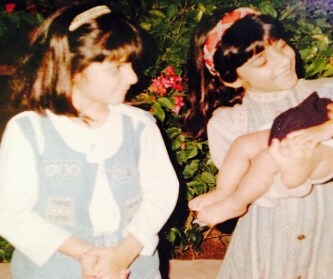 Urwa has been known to be very close with her sister Mawra Hocane and the two have took it to social media to regularly express their love for one another. 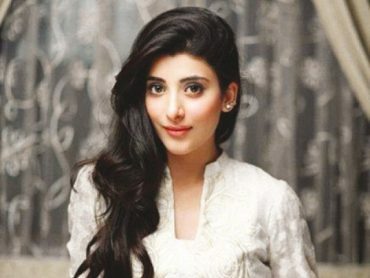 When Mawra Hocane came under the radar and received huge criticism for tweeting in favor of an anti-Pakistan Indian film Phantom, Urwa supported her through her twitter and Instagram account. She tweeted: ‘Patriotism is loving your own country, not hating others! Mawra also took it to social media and uploaded a long status on Facebook defending her comment and actions, while stating that her comments were not against Pakistan and she was only trying to stop people to hate. Urwa’s wedding with Farhan gave wedding goals to many people and gained a lot of attention in 2016. The couple tied their knots in the most happening way one could have ever dreamt of. The glamorous wedding started with a star studded Sangeet ceremony that stole the show. 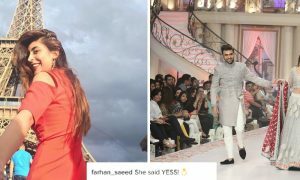 The husband-to-be and star Farhan Saeed being the singer himself also sang songs for his beautiful wife-to-be along with other co-stars who also sang and danced throughout the night to celebrate the wedding of these love birds. The Bridal Shower of Urwa arranged by her closest girls again caught our eyes while the beautiful bride-to-be flaunted her royal gown and everyone else showed up with a hint of pink around. The most important event of the Wedding got into limelight as the couple finally got hitched to each other at the Royal Baadshahi Masjid in Lahore. The perfect venue added a lot to their big day as the rituals were carried out in a traditionally beautiful way and finally the couple threw a Grand Reception of their wedding that actually gave a perfect ending to this dreamy wedding. The reception included all the celebrities of our industry where everyone danced with joy and wished this couple all the happiness they could ever have. The couple was honored by the gracious gesture the celebrities and people of Pakistan across the world showed for their wedding. However this wedding was followed by a few controversies as well, including the expenditure and cost on the wedding being flamboyant but thankfully they had well-wishers like Faisal Qureshi who were ready to slam all the tweets and comments that headed against the couple or their wedding. 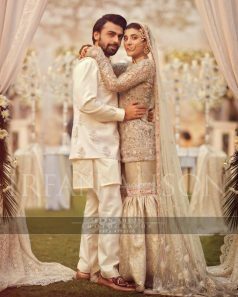 The couple also faced criticism for not revealing the amount of Haq Meher Urwa received from Farhan as this question was personal for Urwa and she demanded respect for her privacy which for sure was her right. The couple however surprised their fans as they haven’t as yet gone to spend their honeymoon period anywhere. This indeed was something unexpected that again brought the couple in limelight but they had a valid answer to our query as work comes first for them so they decided to first fulfil their respective contracts and projects which they didn’t want to delay as honeymoon for them is less important when compared with the official commitments and this is what their die-hard fans expected from them. However the couple is happily living their post wedding days and enjoying their lives to the fullest because love is the primary requirement for living happily together and the couple no doubt has this weapon in abundance. We wish this couple a very happy married life and pray that may they always stay as lovely and happy as they are now, forever and ever and wind up their projects quickly and successfully and have a great honeymoon to enjoy these golden days of a newly wedded couple’s life. 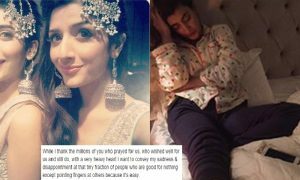 Mawra Hocane Speaks Up And Addresses The Pakistanis Who Mocked Urwa And Farhan’s Wedding! 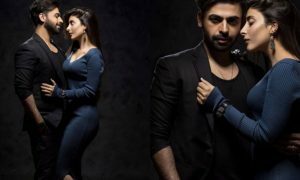 Farhan Saeed and Urwa Hocane Celebrate their One Year Wedding Anniversary with this Sizzling Photoshoot!